Enjoy the top 6 famous quotes, sayings and quotations by Peter Prasad. English kings married their cousins and so their kids were as sharp as clubs. 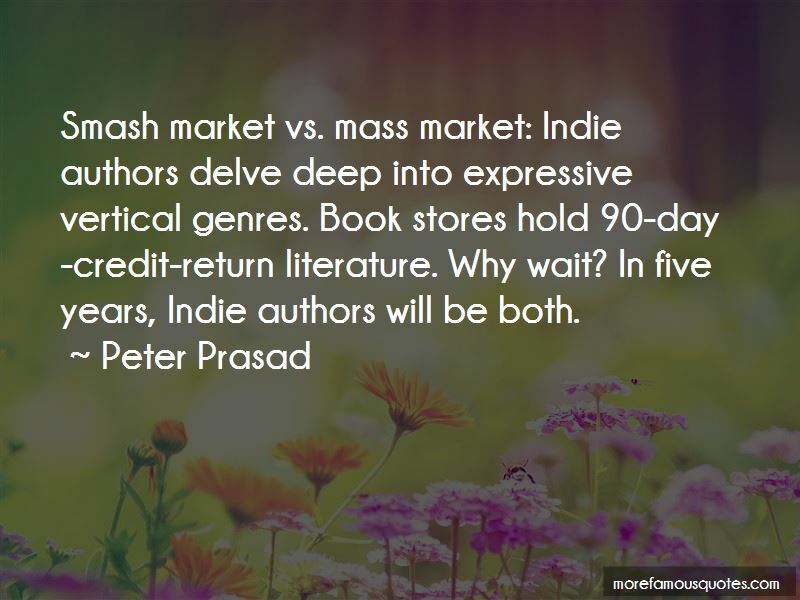 Smash market vs. mass market: Indie authors delve deep into expressive vertical genres. Book stores hold 90-day-credit-return literature. Why wait? In five years, Indie authors will be both. Voters have soaked up a noggin full of negativity over the last twenty years, with an economy we had to bring back from collapse, plus terrorist attacks and wars in Iraq and Afghanistan. I don't want to belabor these points, but your listeners know what I'm talking about. I think the antidote is to appreciate what we have, enjoy where we live, and make a positive contribution to our communities. My Cracker Pride campaign is balanced by the spirit of Cincinnatus. He was a farmer and Roman general who was twice made dictator. And he had the forbearance to resign as dictator as soon as he had vanquished Rome's enemies. He became a civic ideal for good leadership. That's the spirit I want in my district and in my campaign. 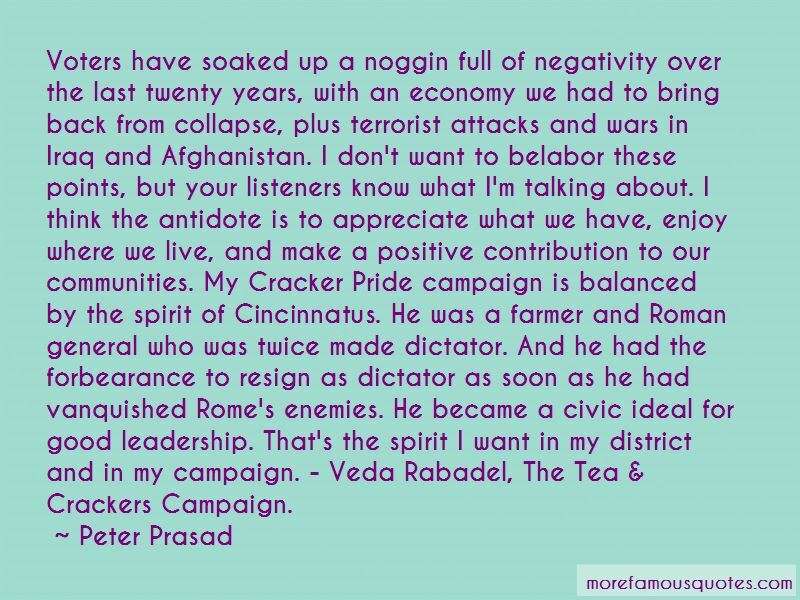 - Veda Rabadel, The Tea & Crackers Campaign. We're like an alarm clock and the rest of the world is sleeping. - Brandy Wine from GUT-CHECK GREEN. 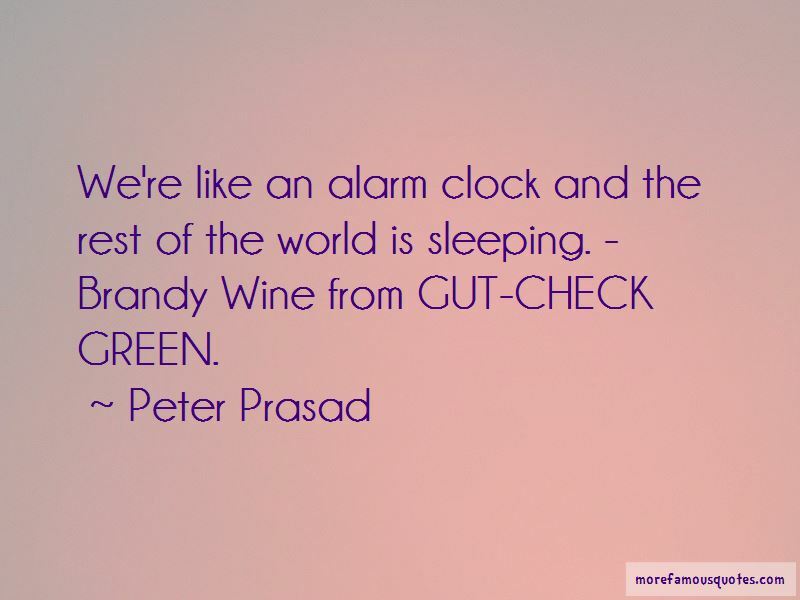 Want to see more pictures of Peter Prasad quotes? 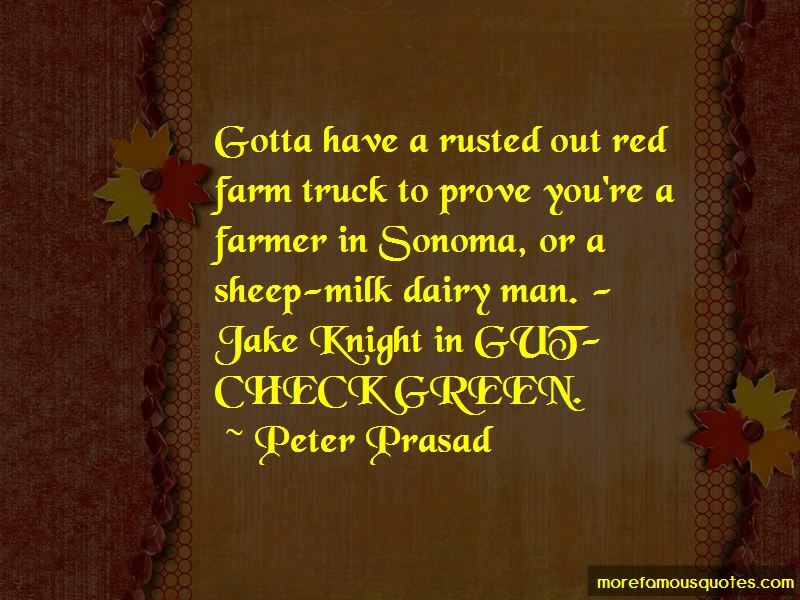 Click on image of Peter Prasad quotes to view full size.